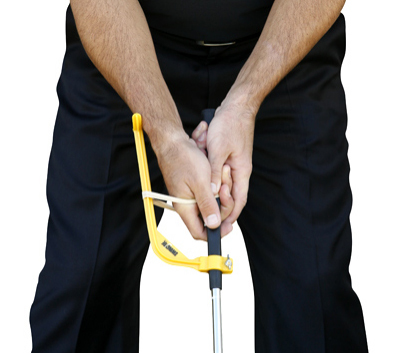 The Swingyde golf training aid is designed to create the correct golf swing positions. 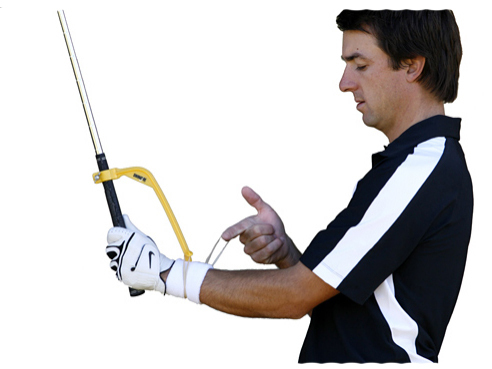 The Swingyde is simple and effective, and is used by the best players and teachers in the world. 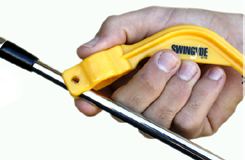 Firstly remove the the wing nut and bolt from your Swingyde, then slip the clamp over the bottom of the shaft (Figure 1) and slide the Swingyde onto the base of the grip. 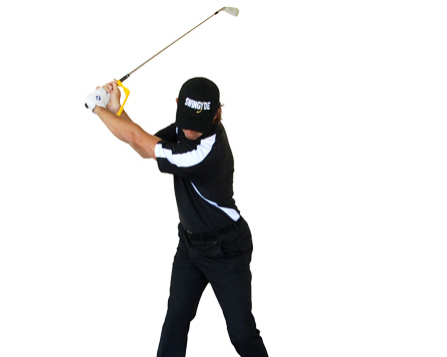 Before your fasten the clamp, take your left hand grip (right handed player) as shown in (Figure 2) and form a 90 deg angle between your left arm and the club. 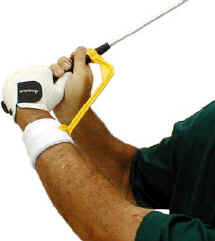 Slide the Swingyde up the grip so the cradle meets the side of your left forearm. 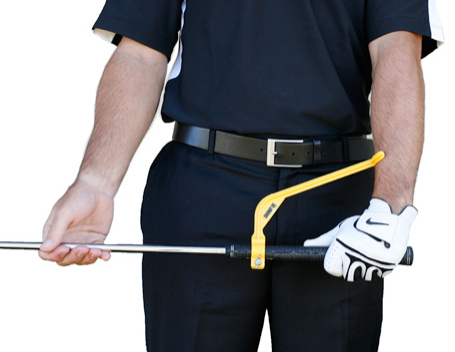 Align Swingyde directly on top of the grip ensuring the clubface is square. (Figure 3). Now you have your Swingyde set up, replace the bolt. If you have any questions regarding the Swingyde, please give us a call, we would be happy to help you with any questions you may have. Write an online review on the Swingyde, and share your thoughts with others. The Swingyde is great! It's simple, easy, and effective. It will help you get in all the right positions, and will let you know when you're not. My pro had me use one, and I decided to get one for myself, its easy to use and definitely works.